But that’s only the roots of my innate passion for writing and proper grammar. After moving to Atlanta I enrolled in a small church-run college, now a major university, where I attended between fall 1965 and spring 1967. That was primarily because my girlfriend, later wife and mother of my children, was the granddaughter of the Chairman of the Board of the organization which ran the school. Of course I took English 101 and sunk in my teeth to getting good grades. Later when I enrolled in a branch of a college / seminary here in Tennessee, apparently my records had not arrived and I was once again enrolled in English 101; so I completed that level twice (and I’m glad I did). It lodged in my thinking and helped me in my later efforts at writing. Then I took a special class in Creative Writing from Tennessee State University, which I was unable to finish because of a temporary illness. Still, I learned a lot. English is such a strange language that many studying it as a second language have major problems. For instance, there are four different words pronounced the same with entirely different meanings. Homonyms are only one difficult part of English, and not just for foreigners. Many Americans have difficulty discerning the difference when writing. Another intriguing form of mystery in our language is the idiom. A phrase which usually means something entirely different from what the words involved usually do. That is where my phrase books come in handy. I have published three, two of which are still in print, and still selling. Another is due out October 1, 2016. The two volumes of Most Comprehensive Origins of Clichés, Proverbs and Figurative Expressions combined will be like an encyclopedia of definitions and beginnings of popular sayings, metaphors and similes—over 2,500 entries, about 1300 pages—which I took pains to be as accurate about as possible, ignoring ‘folk etymology’ which proved incorrect. I hope everyone reading this will soon own both volumes. 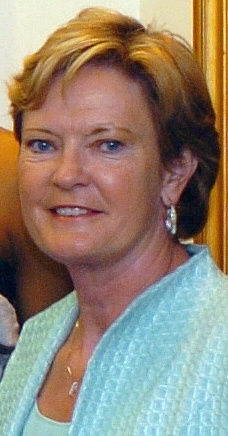 The great Pat Summitt touched and enriched the lives of so many young women over her 38-year career that the full impact of her life is immeasurable. Tennessee’s most winning female basketball coach of all time lost her battle with Alzheimer’s overnight at the young age of 64. She will be remembered always by players, fans, and anyone who admired the great people of this generation. Dr. LeNise Rosemond‘s groundbreaking work, Coach, There is Hope deals with the often overlooked causes and effects of stress on coaches of all sports and levels from middle school to professionals and candidly relates from years of first-hand experience proper ways to deal with the difficulties faced by the coach in today’s ever-changing, perplexing world. With all of the horrible tragedies happening in America and around the world, it makes me thankful for the many great privileges most of us still have. I have a comfortable home, cars to drive, plenty of food to eat, a wonderful family, reasonably good health, and friends that care what happens to me. I even have many books to read and the ability to read and write. These things are some of the basics .I have been able to travel and visit some amazing places, in about 44 states and ten foreign countries. I have also been blessed with a measure talent, as have all. It is how we use our talents and abilities which give us satisfaction and peace of mind. I have learned to work by priorities, and review each day at its close to assess the accomplishments of that day, and meditate on the peace which I feel from it. I created St. Clair Publications after a long and satisfying career in insurance sales and management during which I was able to help others reach levels of success, and thousands of people to prepare for the inevitable through life insurance and other protection plans. Through writing and publishing my books and those of others I have also helped thousands of other people. Those who read the books which improved their lives, and gave to many knowledge and self improvement, and also to our authors who have achieved the peace of mind of knowing that an item on their ‘bucket list’ was marked of, and the knowledge that their dreams helped to give them fulfillment and was enjoyable to others. If you haven’t yet done so, whether you are an aspiring author of an avid reader, check out http://stclairpublications.com. We are big enough to reach the world, but small enough to care for each person. Do you want the bad news first, or the good news? We have all heard this when we could find a way to ‘turn lemons into lemonade’ (there’s an entry on that in my big book). Lately a bunch of negatives have popped up in my life, as they have in the past. First my wife was diagnosed with breast cancer and when she had surgery it had gone into her lymph nodes. She found out that she would also be facing chemo and radiation. Where’s the good in that, right? But, as always, there has been good. Her subsequent tests showed that if there were any more hot spots, they were microscopic. Also, many friends have shown great care, with bringing food and sending gifts, and offering their prayers and positive thoughts. My smart phone has been freezing up, so I had to take it to the store yesterday an hour drive from home. The good news was that it was under warranty and a new one has been ordered for me. I needed a new case, so I got it while I was there. That’s good. I had bought a new lawn tractor last year when the old one finally ‘gave up the ghost ‘. That’s on page 211 in my book. It’s been less than a year, and as I was mowing this morning, the gears quit engaging. No good there, right? Well, I called the store, and the service man was only 10 minutes away and came right out and reconnected the drive belt (also under warranty). I went ahead and purchased a 2 year extended warranty, so I won’t have to be concerned about huge repair bills for over two more years. And items which are not covered, I’ll get a 25% discount on. Most people would be ‘crying foul’ but I am thankful that ‘all’s well that ends well.’ That’s on page 17 of my book. My regulars probably all have a copy. But if you don’t, now is the time to get it! Go to my website at http://stclairpublications,com and order it, and the first two to order there will get a personally signed copy direct from me! 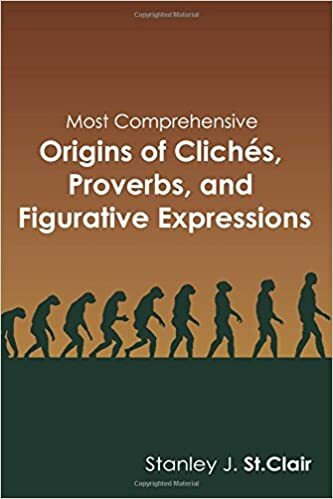 On October 1, the second volume of Most Comprehensive Origins of Cliches, Proverbs and Figurative Expressions will be out with over 1,000 new entries with definitions and most likely origins, plus early citations. Yesterday, while both Bonnaroo, the huge music festival just down the road from my home, and CMA Music Fest in downtown Nashville were well underway, another excellent artist, 22 year old, 2014 Voice finalist, Christine Grimmie, who had just preformed in Orlando at the Plaza Live with her brother’s band, Before the Exit, was hanging around signing autographs for fans. A great thing to do. But here the old adage applies, ‘No good deed goes unpunished.’ Suddenly a man approaches her with a gun and shoots her, killing her. According to reports, the young man killed himself before being captured by police on the scene. How very tragic, and such a sign of the troubled times in which we live. I love music, and sang and played guitar (though not that well) as a youth. I respect great talent. What a waste of young talent. Lets remember Christina’s family and friends in our positive thoughts and prayers at this unthinkable time.